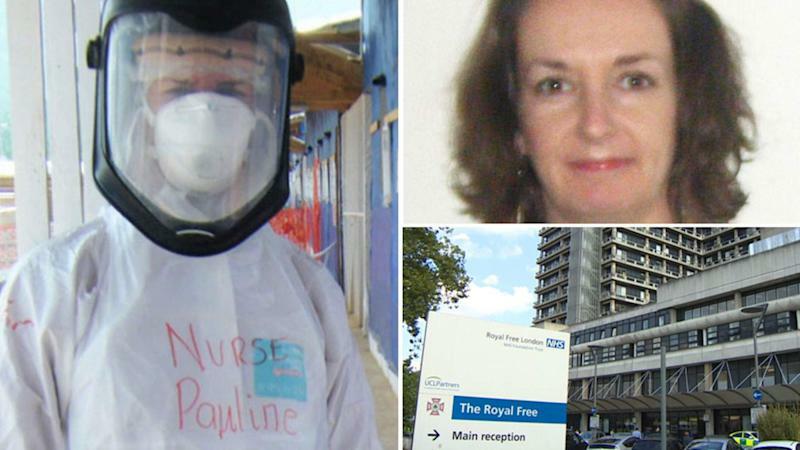 Fifty-eight people are being monitored after having recent close contact with Pauline Cafferkey, the Scottish nurse re-admitted to hospital with Ebola. Twenty-five of them have been given an experimental vaccination, having had close contact with her bodily fluids. A statement from Greater Glasgow and Clyde NHS Trust says the "close contacts" are a mixture of healthcare workers and Ms Cafferkey's friends, family and community contacts. Sky News understands they include no-one from Mossneuk Primary School in East Kilbride, South Lanarkshire, where the 39-year-old nurse paid a visit the day before she was readmitted to hospital . Ms Cafferkey is currently in a serious condition in an isolation unit at the Royal Free Hospital in London. She was first treated there last December having contracted the Ebola virus while working in Sierra Leone, Africa. She has been re-admitted with a complication of the infection. According to NHS Greater Glasgow & Clyde, the rVSV-ZEBOV vaccine was given to 25 of the 40 who had contact with Ms Cafferkey's bodily fluids. The other 15 either declined it or were unable to receive it due to existing medical conditions. The unlicensed vaccine is currently being trialled in collaboration with the World Health Organisation and has been tested on more than 7,000 people during the recent outbreak of Ebola virus infection in Guinea. In its statement, the NHS Trust said: "All 58 close contacts are being closely monitored. "This includes a period of 21 days since their last exposure where they will have their temperature taken twice daily, restrictions placed on travel and, in the case of healthcare workers, they have been asked not to have direct patient contact during this period. "The 25 who were vaccinated will undergo additional monitoring because the vaccine is still being evaluated. "It is important to stress once again that there is no risk to the general public. Ebola is not spread through ordinary social contact, such as shaking hands or sitting next to someone. Nor is it spread through airborne particles."